Go to the ‘Group’ section, where you’ll see all the ones you are part of. Tap the icon on the ‘i’ button to see the group information. Tap on the ‘More Options’ button (three dots). 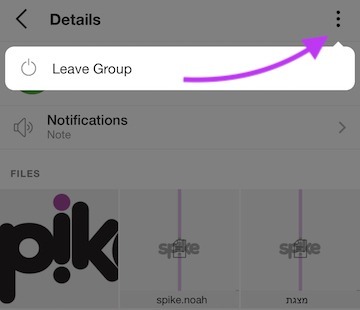 Tap on the ‘Leave Group’ option. Click on the the name of the group. This will open an information window about the group. Click on the ‘More Options’ button on the top left corner market with three dots. Click on the ‘Leave Group’ button.